Do you dream a cruel Tyrannosaurus Rex or a huge long-necked Brachiosaurus? How about a baby dinosaur tiny enough to fit on a newspaper page? That’s presently what an amateur researcher exposed in College Park in the 1990’s. The discovery has now been reported in the magazine of Paleontology. Look cautiously at the picture above. 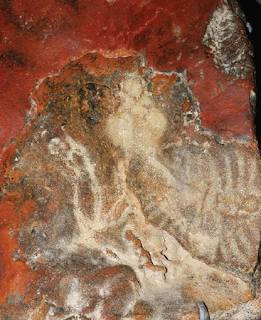 It shows a five-inch-long thought of a dinosaur found in stone. The triangular figure at the peak right is its head, and to the left to facilitate you can see its right arm. You can also formulate out its ribs. The dinosaurs are supposed to be more than 110 million years old and are consideration to have been division of the Nodosaurid collection of dinosaurs that had armored backs. The baby is supposed to have been now recently hatched and almost certainly died by drowning in a river. The fossil is on displayed at the Smithsonian’s National Museum of Natural History as element of a presentation about further local dinosaurs.